Thousands are expected to converge on the Paradise Spring Historical Park on Saturday as the park will become, in the words of one local official, a giant front porch. The park is the scene of the 13th annual Wabash Cannonball Chili for Charity Chili Cook-off. Tasting will begin at noon and admission is $5. As of late last week, about 90 chili teams were registered to participate in the event, Chili committee chair Todd Titus said. “That’s pretty much in the range of what we’ve been used to in the past years,” he said. “It’s not much of a concern to us right now. We know we’ll have some of the CASI (Chili Appreciation Society International) teams coming in Saturday morning to register. The Lady Apaches sported this year’s pink jerseys for the first time last Thursday, Oct. 8, for their Pink Night/Senior Night against the Peru Tigers. 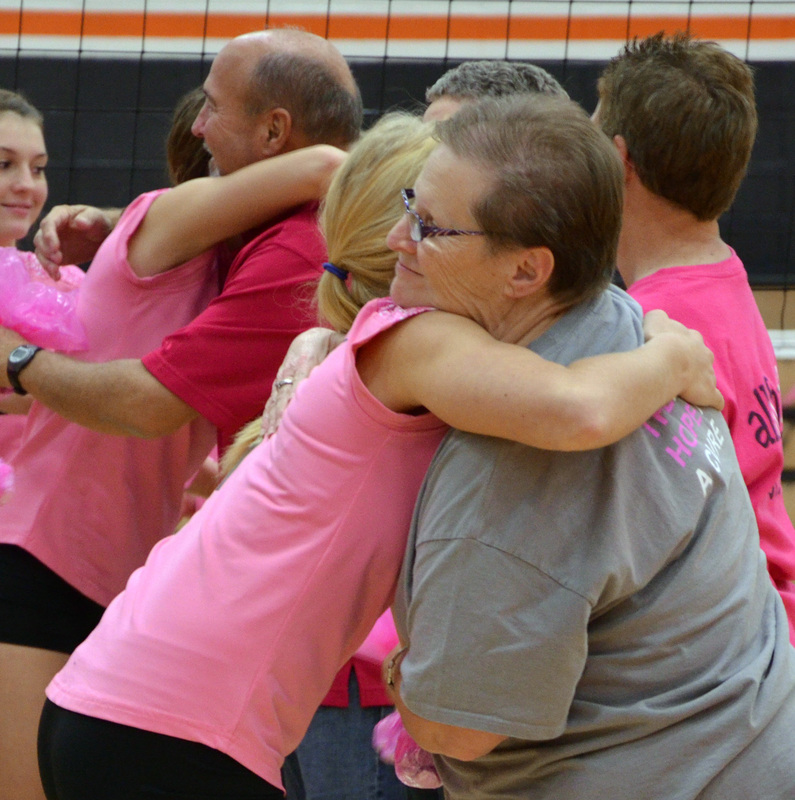 Prior to Pink Night, the teams split into groups of three or four players and visited local service organizations and businesses informing the community about the fundraiser, its purpose and asking for participants to make flat donations or pledge a donation per kill. Nashville singer and Grammy-nominated songwriter Steve Seskin entertained and educated the Wabash community Oct. 8-9 at two venues, though neither performance with the same message. 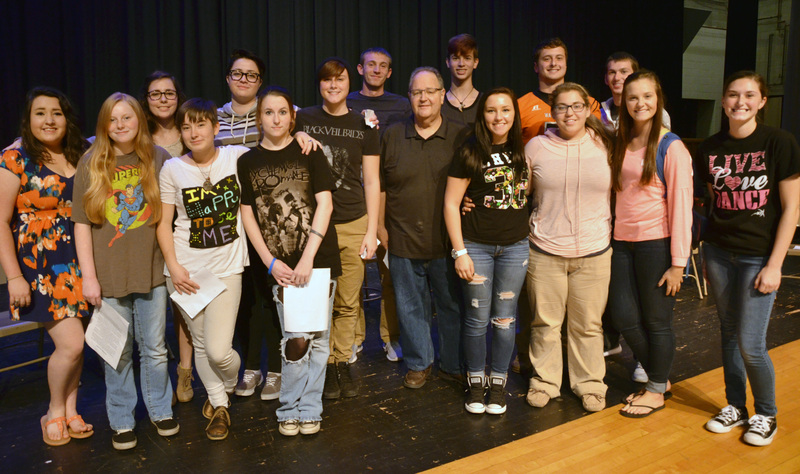 On Thursday Oct. 8, Seskin performed at the Eagles Theatre as the first of three acts in the Singer/Songwriter Series. He shared the stage with Shake Spear Music writer Pete Sallis and Brian White, a touring artist known for songs recorded by artists including Rascal Flatts, Trace Adkins and Gary Allan. The three performed several of their songs and shared various stories about what inspired them to write the numbers. In a special session on Wednesday, Oct. 7, the Wabash County Council voted 5-2 to adopt a 40-20-40 percent local option income tax rate for 2016. Before the council discussed the available rate options, council chairman Mike Ridenour addressed the council and media that the meeting was to focus on local option income tax (LOIT) rates “and the ways that we allocate monies from our adopted additional tax which was 1 percent of the income tax,” he said. The LOIT is reviewed by the council each year. A debate featuring the three Wabash mayoral candidates will take place Wednesday night at the Historic Eagles Theatre in downtown Wabash. The candidates – Republican Scott Long, Democrat Margaret “Boo” Salb and Independent Wade Weaver – will answer a variety of questions during the debate which is sponsored by the Wabash County Chamber of Commerce and The Paper of Wabash County. Doors to the theatre will open at 6:15 p.m., and the debate will begin at 7 p.m. For those unable to attend in person, it can be viewed live on Wabash WebTV. 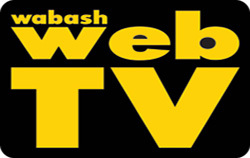 It also will be archived on the WebTV web page, www.thepaperofwabash.com/webtv.html. 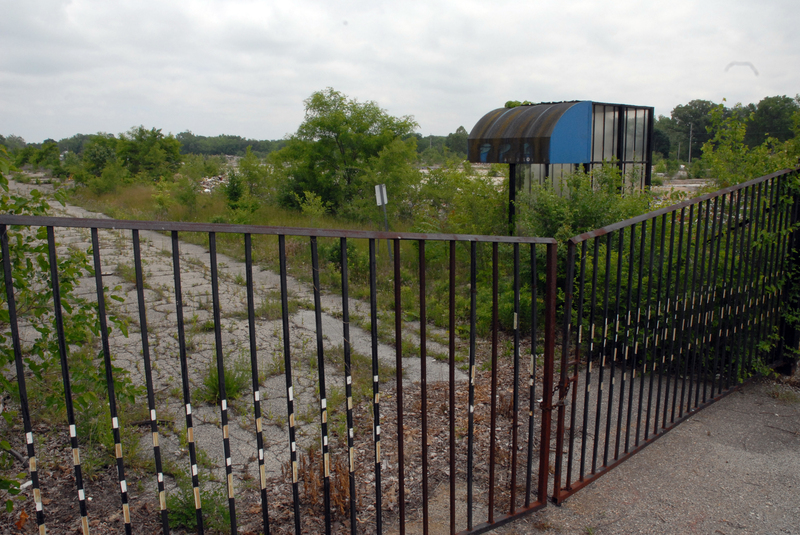 The long-vacant GenCorp property at Stitt and Bond streets was the subject of a Wabash City Council discussion on Monday, Sept. 8. Council member Bryan Dillon asked Mayor Robert Vanlandingham and City Attorney Doug Lehman if there was anything new to report on the matter. Dillon noted that he has been asked about it frequently in recent weeks, and didn’t know how to respond to the questions. GenCorp, which was founded as General Tire in 1915, was renamed Aerojet Rocketdyne earlier this year. Supporters of the Community Foundation of Wabash County looked to the past and into the future on Wednesday night, Sept. 30, during the organization’s annual meeting. 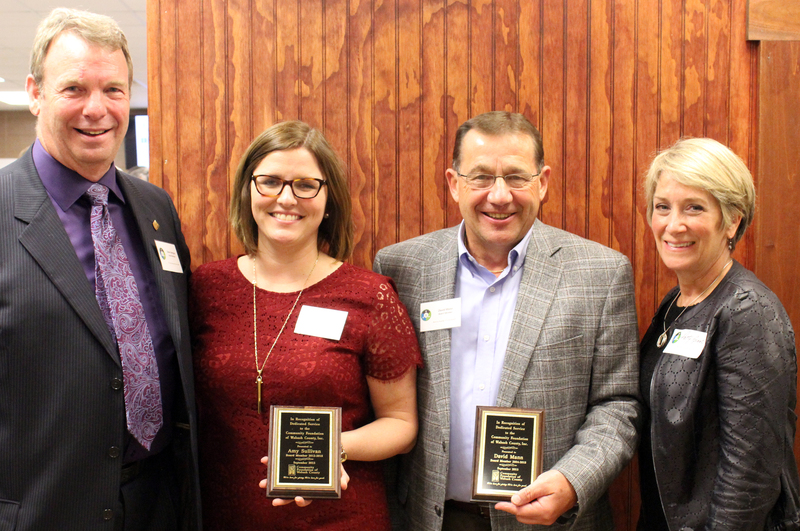 Taking place at the Heartland Career Center, Community Foundation officials looked toward the past when honoring two retiring board members, as well as longtime volunteer with the organization. Its look into the future took place during tours of the Career Center, with which the Community Foundation is working to bring better teaching and training to Wabash County. The highlight of the tour was the welding technology classroom, which Community Foundation helped obtain grants to improve the class’ offerings and equipment. 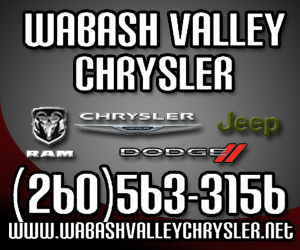 Same day service is once again available through the Wabash County Transit (WCT) system. The change, according to Beverly Ferry, CEO of Living Well in Wabash County, is due to technology. Living Well oversees the WCT. However, thanks to the “cloud,” the service is once again available. “The solution took a little longer than just a month or two,” Ferry said. “It was a long process figuring out what the solution would be, and how we could do it and how we could pay for it.